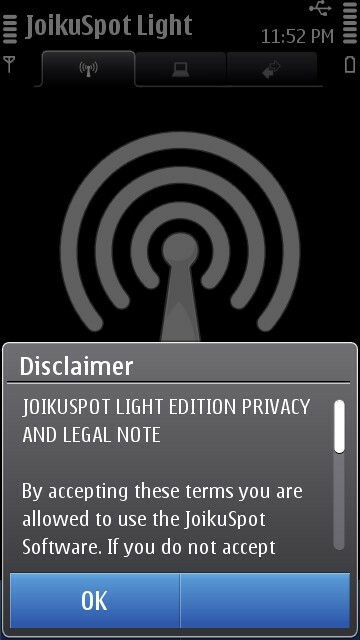 JoikuSpot Light 3.1 is a completely free edition of the popular JoikuSpot Premium. This application turns your mobile phone into a mobile Wifi hot-spot. This application enables the inbuilt Wifi hardware of your phone to be used as a Wifi router instead which in turn enables the Wifi devices in your home to be able to connect to the internet connection on your phone. 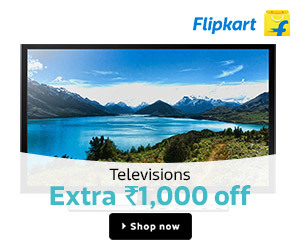 This eliminates the trouble of connecting your phone over Bluetooth or USB cable and then using the PC Suite on your laptop to connect to the internet. With Joikuspot, you simply launch the application and you get a list of all the access points on your phone which you want to use for internet sharing. You can choose your 3G data connection and your laptop can connect to it using the Wifi. 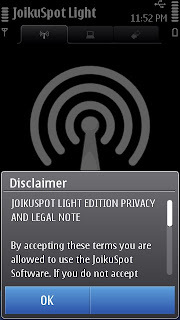 You will see JoikuSpot showing as Wifi hot-spot when you search for a Wifi connection. This is a free edition which will only allow HTTP/HTTPS protocols which means that you can browse through all the websites but cannot use Messengers, Email clients and other applications that use SOCKS, POP3, IMAP, etc type of protocols. To use these, you can buy the full version of this application. Given the functionality of this application, it is a double must application for your phone. Imagine situations when you are travelling in a train, bus or sitting in a park - you won't want to juggle with cable wires and Bluetooth to connect for an internet connection. This is where you find this application very handy, a few taps on your screen (within 5 secs) and you are good to go. The Wifi range is a diameter of 2-3 meters for a strong full signal which is very good. Please post your comments and views about this application. Also, head on to the Nokia N8 Forum to discuss more.